What Is Mudjacking? - LOCAL COLORADO SPRINGS MUDJACKING & FOUNDATION REPAIR COMPANY! 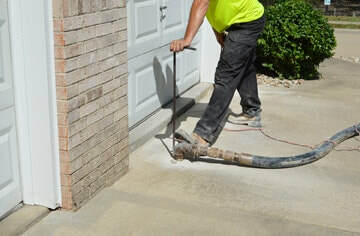 As the mixture is pumped underneath the concrete slab, it fills all empty spaces and creates pressure on the slab that lifts the surface upwards. Once injected, the slurry will then harden into a solid fill that's more stable than the soil, yet lighter than concrete. Call today for your free estimate!